Does Your Collection include any National Heritage Works? There has been an increase recently in the export of South African art and objects of value. Stephan Welz & Co. regularly deal with queries regarding the relocation of art works. All art and objects of national and cultural interest are considered as National Estate and falls under the National Heritage Resources act #25 of 1999. 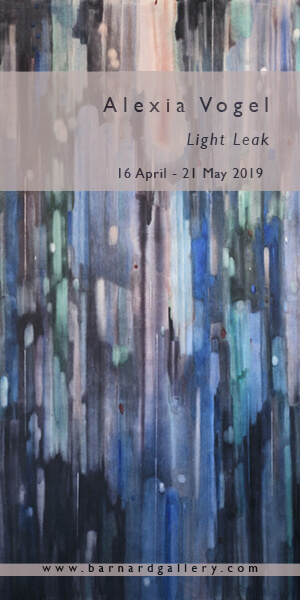 In order for collectors to fully understand the regulations surrounding the export of artwork, Stephan Welz & Co. have put together a few pointers to guide you through this process. 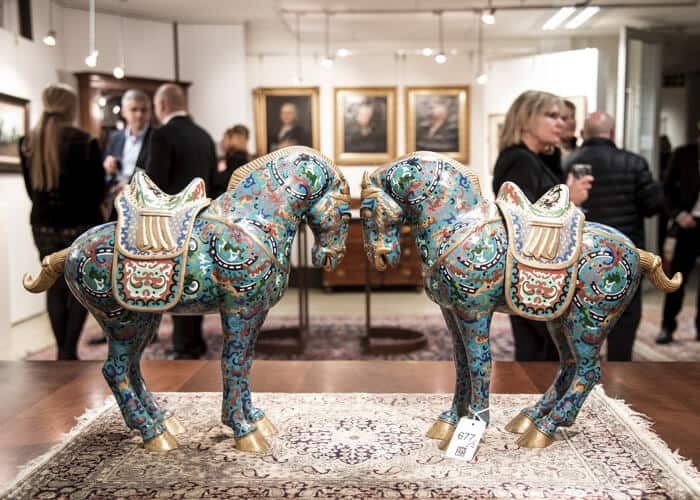 A large pair of Chinese Cloisonne Horses each standing on all fours, decorated throughout in heavy scroll work and stylised clouds against a turquoise ground and gilding, with detachable saddles, the taller 47,5 cm high. All images courtesy of Stephan Welz & Co. It is within the jurisdiction of the South African Heritage Resource Agency (SAHRA), a legal body under order of the Minister of Arts and Culture, to determine whether an object is part of the national estate. If an object has been declared as being part of the national estate its export must be controlled. Vladimir Griegorovich Tretchikoff, The Hindu Dancer, signed and dated 1951. Inscribed “SA” oil on canvas, 81 x 104 cm. Provenance Sold: Stephan Welz and Co (Pty) Limited, Cape Town, 23 February 2010, lot no. 654 Literature Howard Timmins, Tretchikoff, Cape. How do I know if I should apply for a permit? If the work is older than sixty years and has been determined, by relevant scholars in the field, as a significant work by the artist, then you must obtain a permit before exporting the object. For example, all of Irma Stern’s works are older than sixty years. Considered as one of the most accomplished artists in South Africa, it is therefore necessary for you to apply for a permit. That being said, you do not necessarily require an export permit. One of South Africa’s most celebrated sculptors was Anton van Wouw. He often portrayed prominent South African figures and cultural scenes of the time. One of his pieces, Bad News, is a bronze figure cast by Fonderia G. Nisini in Rome. 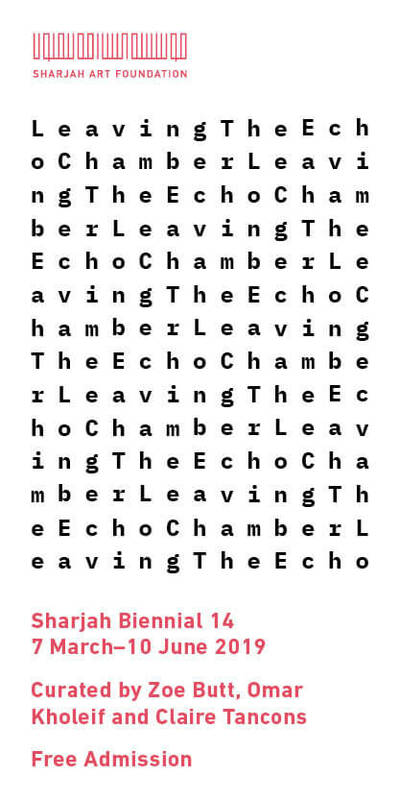 It is widely considered as one of his most renowned works, however, it will most probably not be considered as National Heritage as there are already three of them in museums across South Africa. This type of information is not always available at first hand, and so it is important to seek out expert advice to fully determine whether or not an export permit is required. In order to do so, you should always apply for a permit before considering exporting any work by a South African artist. Fanie (Stephanus Johannes Paulus) Eloff, Sitting Woman, signed and cast with foundry mark of ‘C Valsuani,’ bronze height: 28 cm. LITERATURE De Kamper, G.C, De Klerk, C. Sculptured: The Complete Works of Fanie Eloff, University of Pretoria, 2011, illustrated on p 95, no. 77. What is the process of obtaining an export permit? To ease the process the application form can be accessed on their website. It can be applied for by a third party or the owner and the fee for such a permit is a R150. After an application has been submitted SAHRA’s appointed committee will assess all applications. An expert examiner and SAHRA must consider whether the object is — (a) of outstanding signiﬁcance by reason of its close association with South African history or culture, its aesthetic qualities, or its value in the study of the arts or sciences and (b) is of such a degree of national importance that its loss to South Africa would signiﬁcantly diminish the national heritage. If these criteria are not met, an export permit may be issued. However, if the object does comply with certain criteria then a permit will not be issued. If a permit is refused, the owner has thirty days to apply for compulsory purchase. SAHRA then needs to assess if the object may be bought by a public or private entity for a fair and reasonable price within South Africa in a time frame of six months. This may be extended in special circumstances if deemed necessary by the Minister of Arts and Culture and SAHRA. If the object cannot be sold within the given time frames and no museum shows interest in the item then an export permit may be issued to the owner of the item. If you are considering taking a collectible item out of the country and would like to obtain more information about it and its relevance to the cultural interest of the National Estate then please do not hesitate to contact one of Stephan Welz & Co’s specialists. Founded in 1968, Stephan Welz & Co. has entrenched itself at the forefront of the South African auction industry for nearly 50 years. 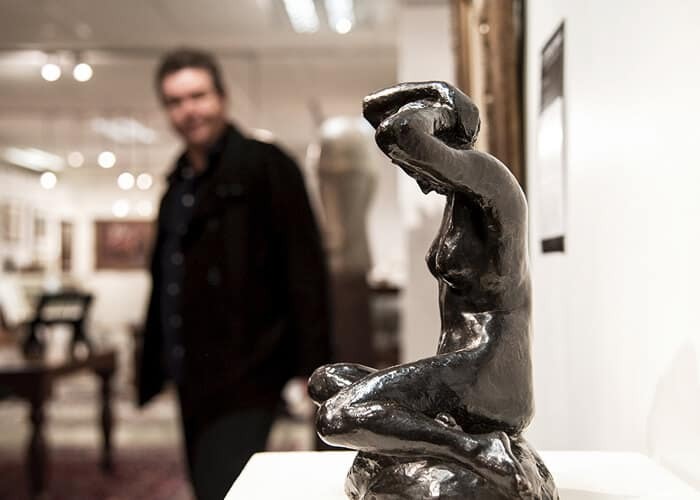 With two sale rooms in Johannesburg and Cape Town, they offer the most convenient way to consign and auction art and collectables. Specialising in fine arts, jewellery, furniture and classic cars, they have consigned nearly 325,000 items in over 700 auctions. Their wide range of categories also include watches, silver, clocks, carpets, ceramics, books, maps, stamps and gold coins. https://artafricamagazine.org/wp-content/uploads/2016/09/AA_Newsletter_2016_Sept08_SWCO1.jpg 500 700 Art South Africa https://artafricamagazine.org/wp-content/uploads/2018/02/ART-AFRICA-LOGO-300x62.png Art South Africa2016-09-05 10:57:042017-07-20 10:28:00Does Your Collection include any National Heritage Works?